13-NOV-2015: Fix for an error occuring when sims try to autonomously make barista bar drinks. Less cluttered ingredient picker menu (Only up to the same number of cups to be served of each quality of the ingredient will be displayed). Sims will now stop autonomously making the Seasons beverages if they have a moodlet that comes from drinking one of them. 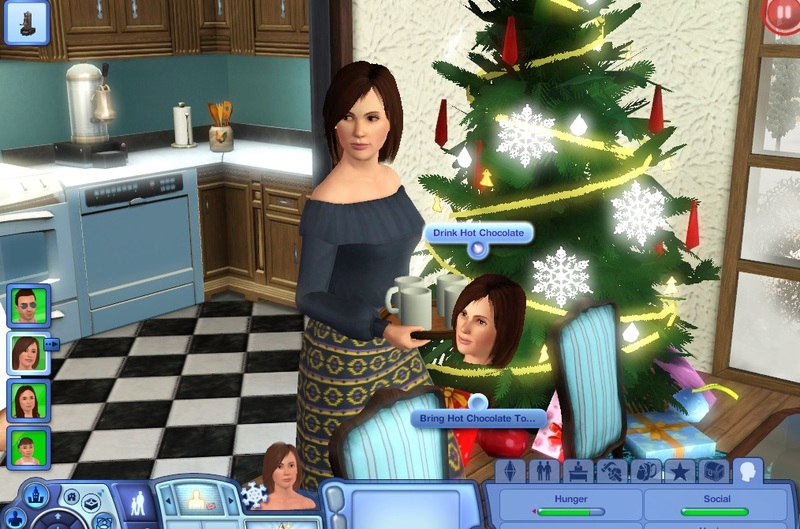 For that purpose, drinking Hot Chocolate and Hot Cider will now each give a certain moodlet like Eggnog does. The ITUNs for the Seaons beverage interactions have been changed, so any tuning changes you've made to them in the package or using NRaas Retuner in game (see the note below) will have to be redone. 13-APR-2015: Seeds no longer selectable as ingredients. 1-SEP-2014: No longer need to let the game run before interactions get added to newly bought coffee machines anymore. 16-JUL-2014: Reduced the overall advertising in the ITUNs and tightened the autonomy restrictions for the interactions to hopefully stop sims from constantly making and serving drinks when they have nothing else better to do. Want your sim to have a nice warm cup of Hot Chocolate on those cold winter mornings, but don't want to send them all the way out to the nearest concessions stand just to get one (which in the snow kind of defeats the purpose really)? Or perhaps they'd like to enjoy a special Organic Brew in the comfort of their own home, but EA's Barista Bar just clashes with the decor too much for you to place one in the house? 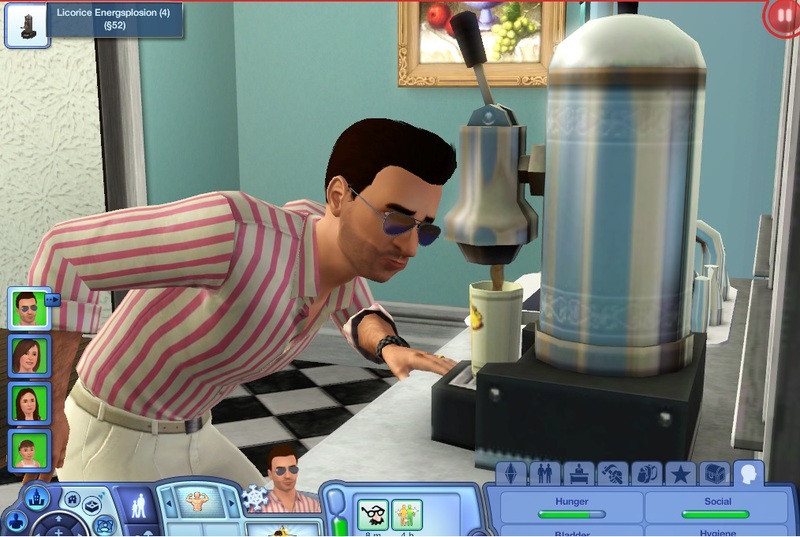 This mod adds 2 new interactions to all coffee machines: Make Drinks... and Serve Hot Beverages...* which lets sims make or serve the hot beverages from Seasons and UL on regular coffee machines. Like the barista bar, making these drinks with these interactions on the coffee machine costs money (same prices as the concession stand or barista bar), unless your sim has the required herb/coffee bean/ingredient* in their inventory which can be used instead to make the drink for free. 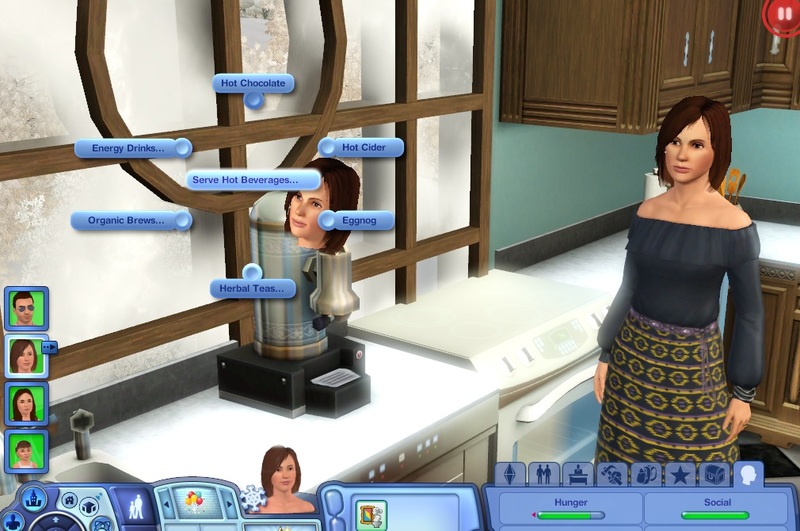 You can choose which ingredient of the required type from your sim's inventory to use in case you were saving the higher quality ones for other uses (Note that the type of ingredient required is fixed by the drink). Also you can serve a tray of multiple cups at once, but you will need one ingredient per cup (or pay for each cup you don't choose an ingredient for). The mod will let you choose how many cups to serve (from 1 to 4) to suit the number of sims you have. * For the Seasons hot beverages you can use an Egg to make Eggnog, an Apple to make Hot Cider, and Cocoa (from the Bohemian Garden Set from the Store) to make Hot Chocolate for free. Also since the default hot beverage cups from the concessions stand automatically come with lids (which makes it look weird when the machine fills them) the mod uses the regular coffee cup model in their place, so you may notice the drinking animations being slightly off because of that. (That and they become indistinguishable from regular coffee and one another, but oh well). The barista bar drinks still come in their default cups, just without lids. Requires either Seasons or University Life otherwise the mod will do nothing. The mod will still work even with only one of them installed, but the drinks from the expansion not there won't be available. Since this is a script mod which only adds new interactions without replacing any default ones, the mod should NOT conflict with any other mods, even those that have to do with the coffee machine.